Save Marinwood-Lucas Valley - our community, our future: Should Marinwood build a new Community room with shipping containers like this? Should Marinwood build a new Community room with shipping containers like this? 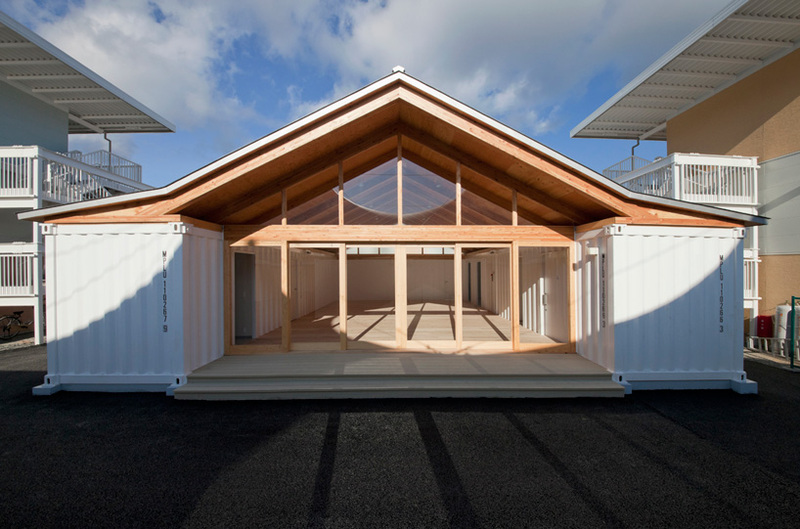 Following the earthquake in march 2011, japanese practice shigeru ban architects conceived and implemented ‘onagawa temporary container housing’ along with a community center and atelier within the town of onagawa in the miyagi prefecture of japan. offering families privacy during the recovery, the firm initially embarked upon installing 1800 units of their 2 meter by 2 meter emergency partition system within 50 evacuation facilities. during the process, they learned about the state of the town of onagawa and their difficulties to provide temporary shelter due to the lack of flat land. To resolve the geographical location’s terrain, a proposal for a three-storey structural framework to allow the stacking of 20 foot shipping containers in a checkerboard fashion. this alternating arrangement allows for airy and open living spaces with built-in shelves and closets for storage, a missing element within the temporary houses issued by the government. since many areas share similar landscape characteristics, these buildings may be constructed in many disaster situations and continue to be used as a long term residential solution due to their excellent seismic performance. three variations are formed by the placement of units, forming a 19.8 square meter unit for 1 to 2 individuals, 29.7 m2 for 3 to 4 inhabitants and 39.6 square meter residences accommodating more than 4 dwellers. A community center and market are centrally located in the complex, offering a gathering space for community members. 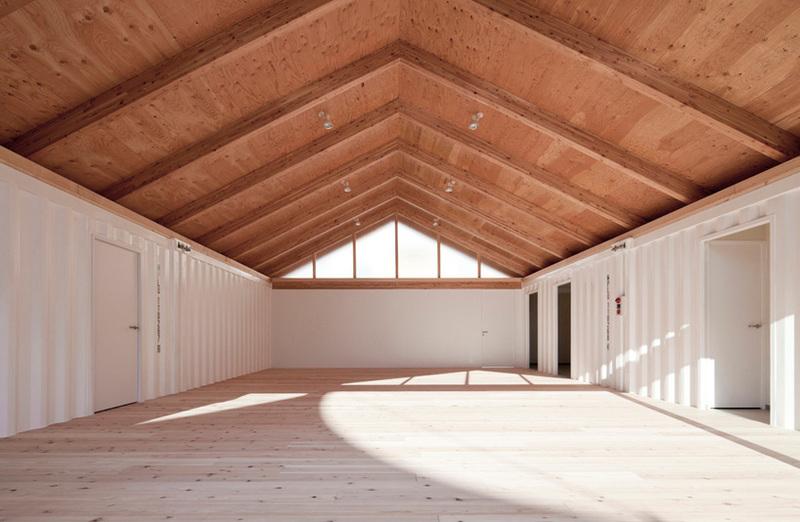 the center’s walls are formed with white shipping containers and are capped with a plywood gable roof. 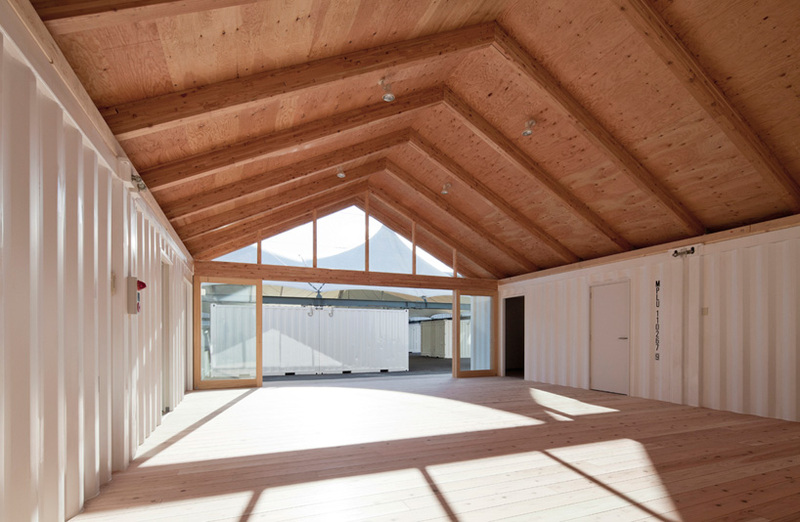 triangulated clerestory windows introduce natural daylight into the interior. the area for the food market is formed with a ring of containers and a tentsile roof protects from changing weather. Editor's Note. I love the clean, simple design. This could work for a community room or even the new maintenance shed.